Win $250 Cash giveaway event! You have the option of choosing between $250 PayPal Cash OR a Gift Card of choice! 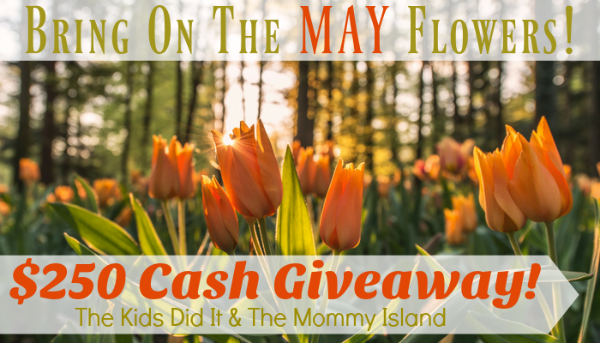 Organized by The Kids Did It & The Mommy Island and sponsored by awesome bloggers, authors, and Etsy shop owners!